I sat and put together a batch of monotone cards yesterday in a lovely array of colours. 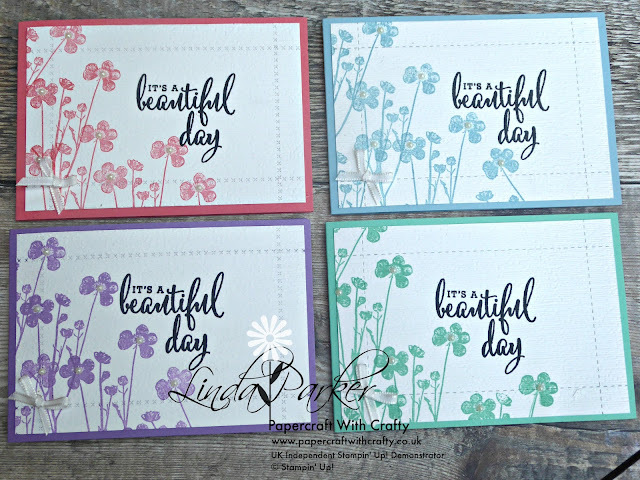 I used the beautiful Hostess stamp set Pressed Flowers for this project. Hostess sets are available to customers and demonstrators when you place a single order that totals over £150. You receive what are referred to as Stampin' Rewards - a generous little bonus. Stampin' Rewards go up in increments, so for a spend worth over £150, customers receive an extra 10% to spend on anything, which includes the exclusive Hostess Sets. A spend in excess of £270 receives a 12% bonus spend. For those spending in excess of £400 that increases to a whopping 14% worth of Stampin' Rewards to spend on anything that takes your fancy PLUS a half price item of your choice from the entire Stampin' Up! catalogue. 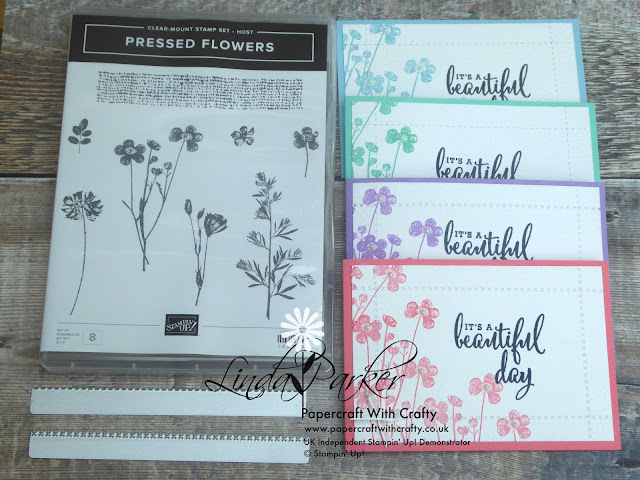 This gorgeous stamp set is my particular favourite Hostess Set. I prepared the layers and coloured bases to coordinate with my stamped images. Whilst they all looked really pretty, I wanted to add a little texture, and the new Subtle Dynamic Textured Impressions Embossing Folder was just perfect. Another "subtle" detail was to add some faux stitched edges using the Stitched Label Framelits Dies. 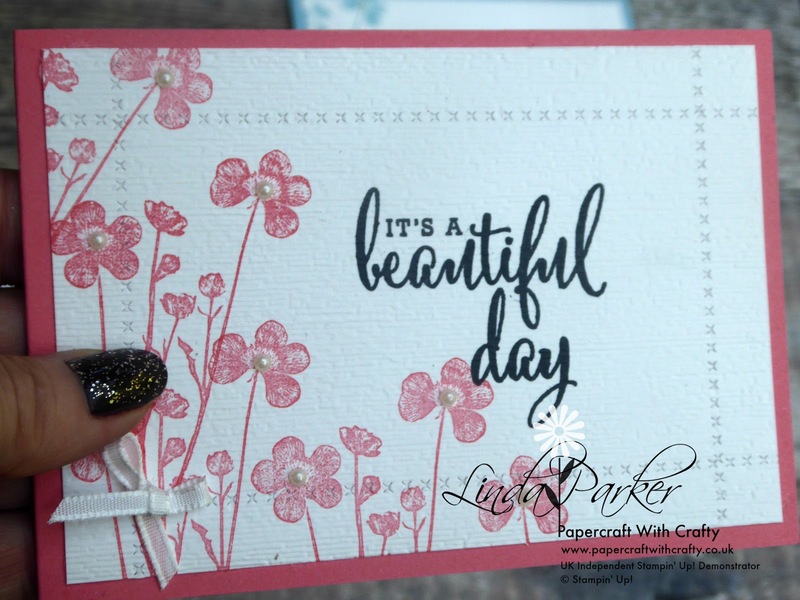 Oh .... and the sentiment is from the Love What You Do stamp set. Hope you likey and I hope you will pop back for a repeat visit. Have a lovely relaxing weekend. I am off to open my latest box of Stampin' Up! goodies. I may even do a little "unboxing" video ! !